If you’re wondering how to Install TWRP & Root your Samsung Galaxy J7 Max Android smartphone, Then, this guide should help you with that. In this post, we will provide you a detailed guide, which will not only include all the basic rooting details, but also a step-by-step instruction manual to easily root your Samsung Galaxy J7 Max Android smartphone. Samsung Galaxy J7 Max Android smartphone was launched in June 2017. The phone comes with a 5.70-inch HD display with a resolution of 1080×1920 pixels. The Samsung Galaxy J7 Max is powered by 1.69GHz octa-core MediaTek Helio P20 processor with 4GB of RAM & 32GB of internal storage that can be expanded up to 256GB via a microSD card. As far as the cameras are concerned, the Samsung Galaxy J7 Max packs a 13-megapixel primary camera. Rooting your Samsung Galaxy J7 Max smartphone simply refers to the task of accessing commands, system files, and folder locations, which are locked to the user. Team Win Recovery Project (TWRP), is an open-source software custom recovery image for Android-based devices. It provides a touchscreen-enabled interface which allows users to install third-party firmware and backup the current system, which is often unsupported by stock recovery images. When you root your Samsung Galaxy J7 Max, a small app called SU (Switch User) is kept inside the system and the user is allowed to run it. After you have root access, you can remove the carrier bloat, you can update to the latest version of Android, even if it is not officially supported. You can overload your device’s CPU and GPU to get better performance. You can hibernate any app. You can reduce the CPU to get better battery life, and you will be able to improve every part of the software. This given procedure is only for Samsung Galaxy J7 Max, So don’t try this on either any device or any other branded smartphone. Rooting Procedure is followed only after installing the TWRP Recovery on your Phone. If you want to try only Rooting procedure, we recommend following How to Root any Android Phone without PC. If your phone bricked somehow then kbloghub.com is not responsible for any damage to your phone. Proceed at your own responsibility. Before proceeding to the rooting process below, there are some pre-requirements make sure you follow all of them. Charge your Samsung Galaxy J7 Max phone to at least 60-70%. If you’re wondering how to Install TWRP & Root your Samsung Galaxy J7 Max Android smartphone, this guide should help you with that. 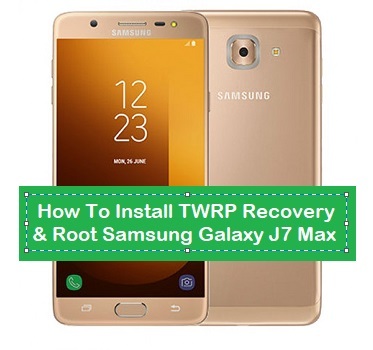 You can Download TWRP Recovery for Samsung Galaxy J7 Max from the above download link. let’s Start Root and Install TWRP on your smartphone. Now you have TWRP recovery installed on your Samsung Galaxy J7 Max. So you can easily root your device using this custom recovery. So, that was the complete step by step guide on How to Install TWRP and Root Samsung Galaxy J7 Max. Thank you for reading this post and stay connected to Kbloghub to continue enjoying the amazing posts. Share your thoughts about this post in the comments section below.